Burj Khalifa skyscraper, Dubai, United Arab Emirates. Constructed between 2004 and 2010, this skyscraper rises to a height of 830 metres. 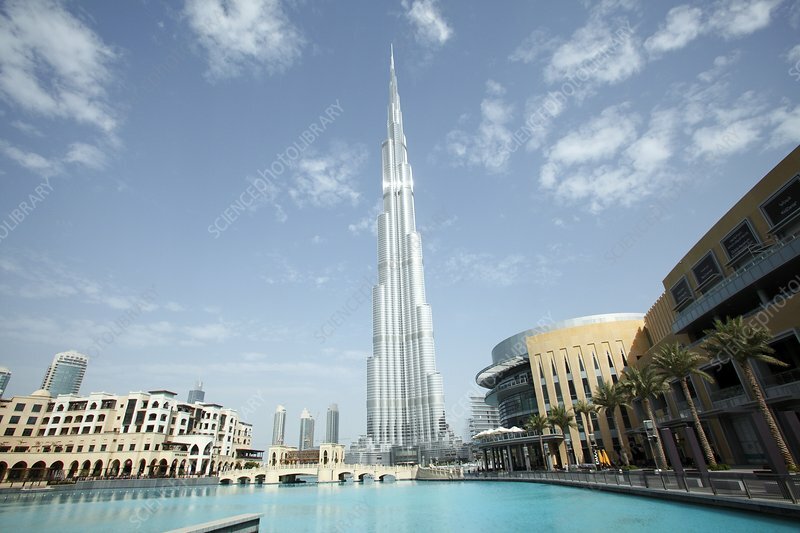 It has been the tallest building in the world since 2010. Located in the Downtown Dubai area, it has 163 floors and contains both residential and office space. The design is a series of spiralling setbacks around a buttressed core. The primary materials used were reinforced concrete, steel and glass. The surrounding area includes a large lake (foreground), parks and other buildings.